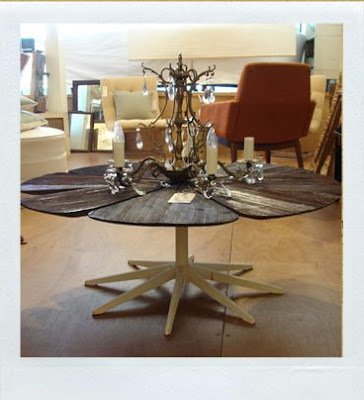 I completely loving this coffee table from Austin-based shop Home Girls, first spotted over at Design Sponge. Those rounded corners seem très baby friendly, yes? The table is amazing, and the lamp too. Is that a chandelier sitting on the table? Yes! But it looks a little splintery. Love it, though!